Thank you for your interest to join our team at Asylum Seekers Centre. Government assistance for people seeking asylum is being withdrawn at a rate not seen since we opened our doors at ASC 25 years ago. Thousands will be affected. More than ever we need the support of our community who with their dedication, commitment and compassion enable us to provide a welcoming and safe environment for the many people who come to the Centre seeking comfort and assistance. We welcome you to express your interest in joining our team or expand your role if you are already involved with us! The Casework Manager has the responsibility of leading the Casework Service team of employees and volunteers. The role offers strategic and operational guidance, ensures sufficient resources and training to deliver a high-quality service, as well as identifies strategic projects that will enable the service to grow and regenerate in a complex environment. This is a permanent, full-time position at 76 hours per fortnight. Ensuring high-quality support is provided to clients, through effective casework and the use of systems and databases to record information and track a high volume of referrals. Managing Emergency Financial Support and Housing within Budget and in accordance with ASC policy so that as many clients as possible benefit. Managing staff recruitment and providing leadership, guidance and support to enable staff, students and volunteers to meet the needs of the clients of the Casework Service. Ensuring all team members receive appropriate levels of training to enable them to deliver high-quality service to clients. Developing and implementing marketing strategies for the Casework Service and its clients to key stakeholders such as other agencies and the general community. Working with the Head of Fundraising and the Head of Service Delivery to prepare applications for funding of the Casework Service. How To Apply: Please send your resume and a cover letter addressing the full selection criteria to Kristine De Guzman, hr@asylumseekerscentre.org.au. Please note applications which do not address the selection criteria will not be considered. A position description outlining the selection criteria and further requirements of the role can be found here: Position Description – Casework Manager. We are seeking confident swimmers to assist us in facilitating the Swimming Program of the Centre, by supporting clients attending the activity as well as the swimming instructors. A position description outlining the selection criteria and further requirements of the role can be found here: Position Description – Swimming Volunteer. We have multiple vacancies to fill in the role of volunteer IT Support. This role provides technical support to our Employment Service Team. How to apply: To express your interest for any of the above volunteer roles, please send an email to volunteer@asylumseekerscentre.org.au with your resume, brief blurb about yourself and how you meet the selection criteria (found in the position description). Application Deadline: Please apply ASAP. Working rights in Australia and a valid NSW Working with Children’s Check is required from all workers of Asylum Seekers Centre. 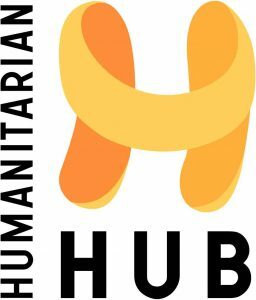 If you haven’t found anything that suits you, we encourage you to visit the NSW Humanitarian Hub which is a central point for volunteering opportunities in the sector. There you will find current vacancies listed for our organisation as well as our partner agencies who undertake similar work. We thank you for your support and interest in the work we do.